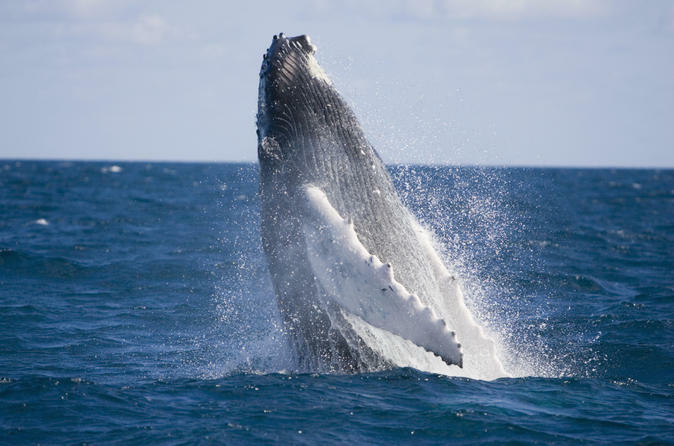 Watch out for whales, dolphins and more on a 3-hour whale-watching tour. 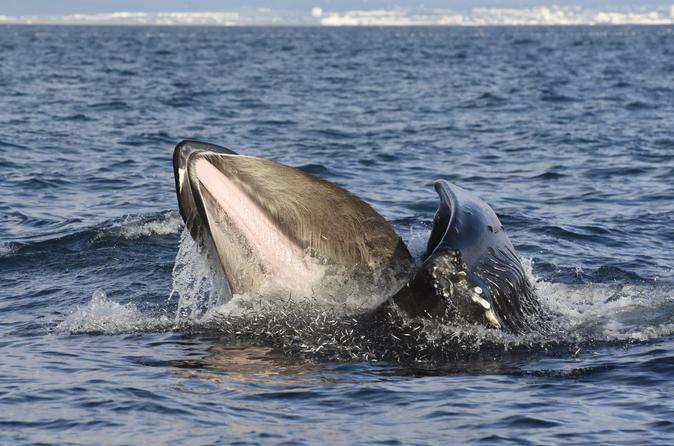 Choose a start time to suit your schedule with an optional hotel pickup and drop-off from Akureyri, and then cruise from Dalvik into the waters for close-up views of north Iceland’s marine creatures and birdlife. 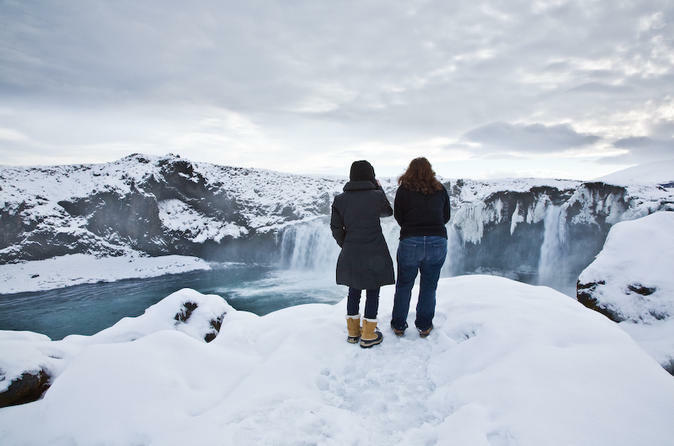 Complimentary use of extra-warm Icelandic clothing is offered plus refreshments and a hot drink while on board. On the way back, try your hand at sea angling and finish by eating your catch while back on shore! Experience the surreal landscapes around Lake Mývatn on a guided day trip from Akureyri. 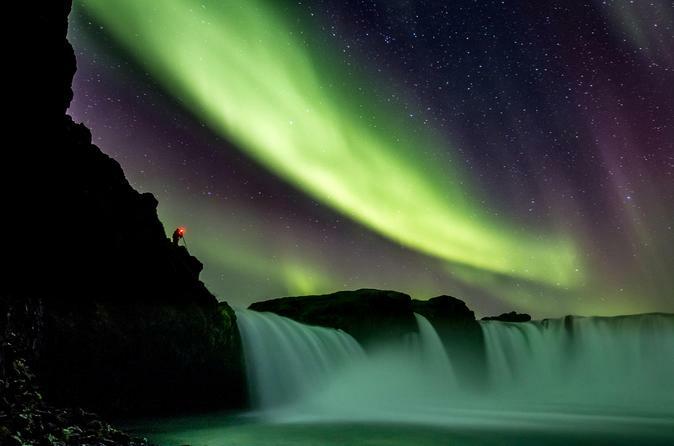 Marvel at the magnificent features of North Iceland’s volcanic countryside, including the famous Goðafoss waterfall, the unique lava stacks at Dimmuborgir and the 300-meter-wide Víti explosion crater. 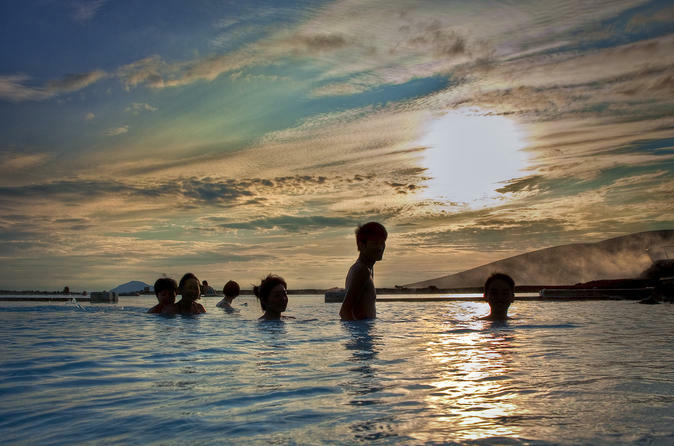 Dine at a local restaurant and let your stress melt away in the relaxing geothermal water of Mývatn Nature Baths. In winter, hunt for the Northern Lights and in summer, look out for the midnight sun. Combine Iceland’s natural splendors with dramatic ‘Game of Thrones’ TV locations, on a full-day tour from Akureyri. With a private guide, passionate about the popular HBO series, explore the rugged, snow-capped landscapes that set the scene for countless episodes ‘north of the Wall.’ See where the Night’s Watch lived at Castle Black, wander across a lava field where lawless wildlings and White Walker zombies once lurked, and stroll through Höfði forest. Finally, finish with a soak in the natural lagoon at Mývatn Nature Baths — just remember your bathing suit! 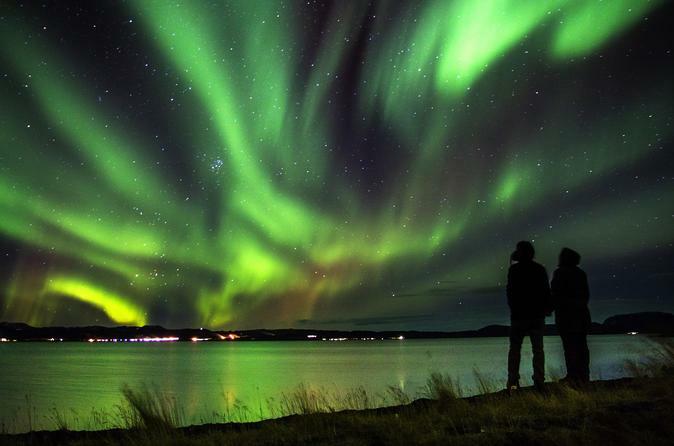 View the spectacular Northern Lights on a 2.5-hour guided coach tour from Akureyri. 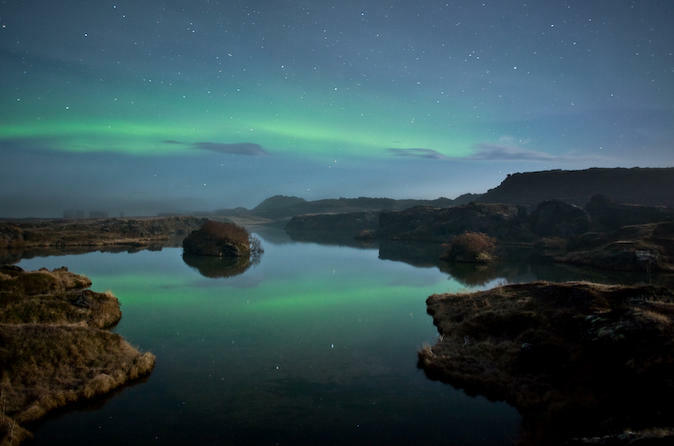 Leave the electric glow of the city behind and venture into Iceland’s countryside to seek out the Aurora Borealis, one of nature’s most wondrous phenomena. As you gaze up at the shimmering night sky, hear more about the science behind this occurrence from your knowledgeable guide. 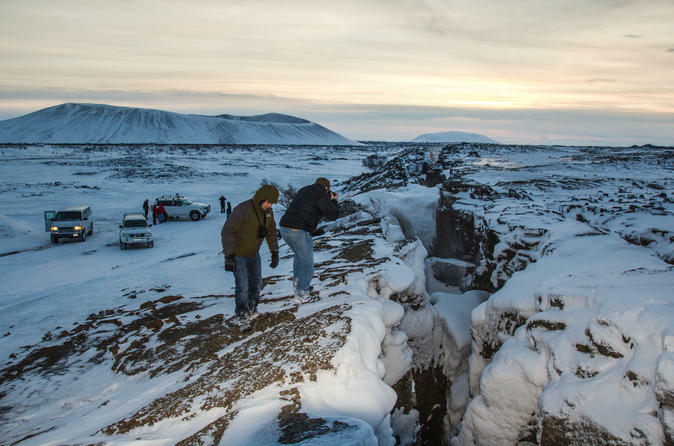 Hop on a 4x4 jeep tour that takes you along the route of Goðafoss waterfall, pseudo crater areas and the Mývatn Nature baths, the blue lagoon of the North. 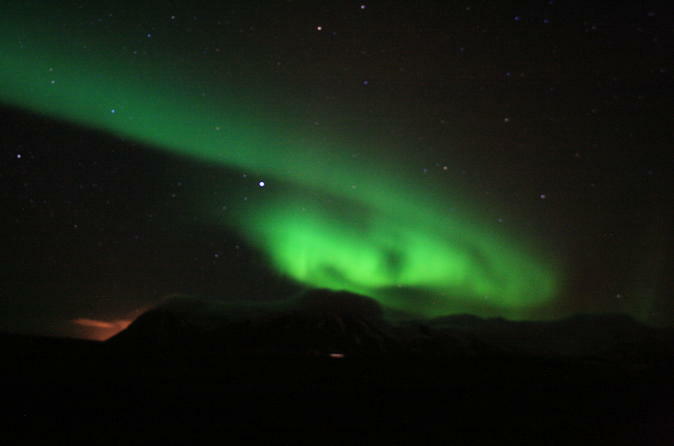 The tour is operated by a professional photographer with great experience photographing the Northern Lights. The trip takes you out to the countryside or up to the mountains, away from electric glow and city sounds. Finding the perfect picture spot and setting up the camera takes time and requires local knowledge! Patience is the key element, and your guide will make sure you get all the time you need for capturing a memory that you will never forget. 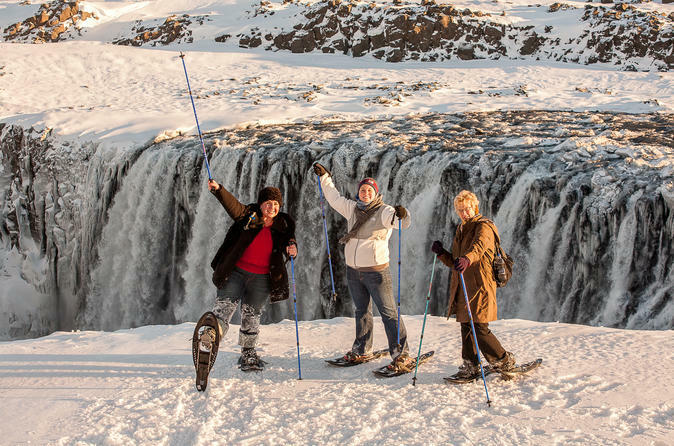 Join the private day tour for 1-8 person from Akureyri and we help you to organize your perfect day around Akureyri, to Lake Mývatn, Dettifoss or wherever you like to go surround this area. 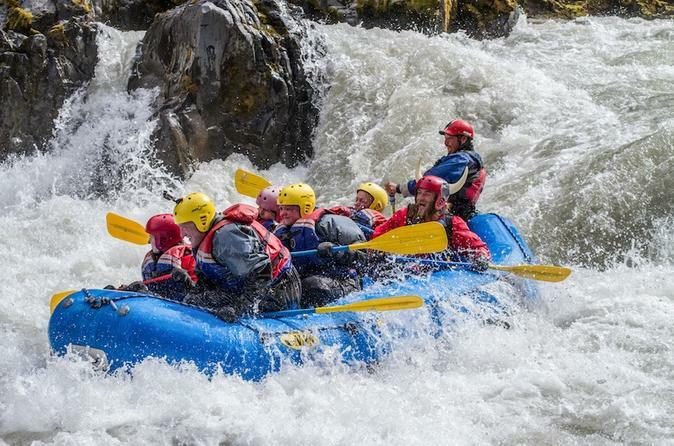 North Iceland is a veritable string of jewels, whose nature attracts people of all ages. We start our Northern Lights Safari at 8:30 pm. 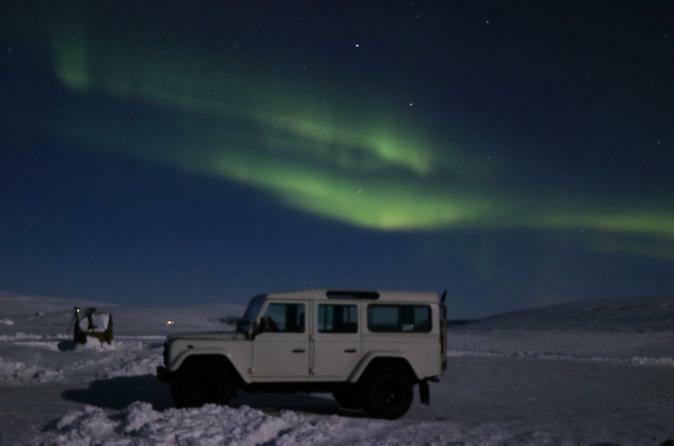 We travel in a comfortable 4x4 vehicle and head for the most likely area to see the Northern Lights. The tour is approx 3 hours in duration. 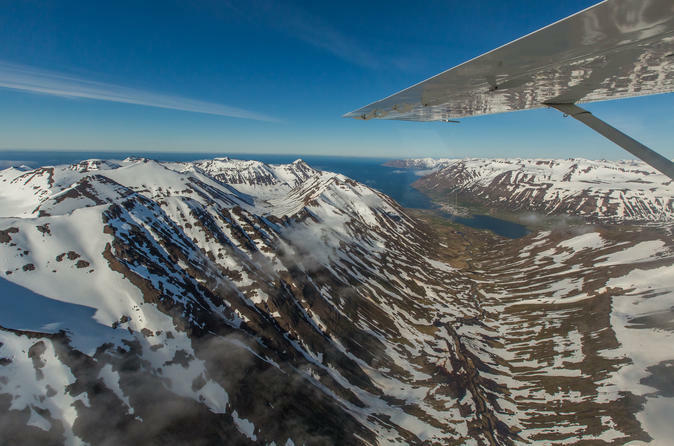 See stunning mountains and glaciers from above in this 35 to 45 minute thrilling flight from Akureyri! From your own personal window seat aboard a GippsAero GA8 Airvan view the mystical troll mountains, picturesque fishing villages and fjords. Interact with your professional pilot via two-way radio on this small group tour. 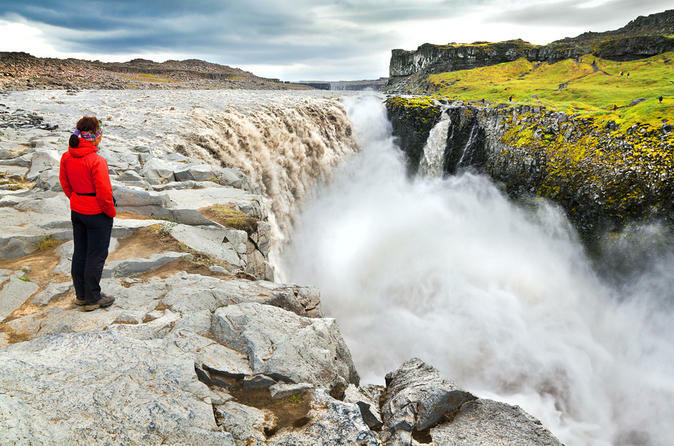 Experience the magic of the great Waterfall Dettifoss and its surroundings. The combined width and height make it the most powerful waterfall in Europe, so this tour will take time to find the best sites for photographing along the glacial canyon edge, depending on weather and other conditions during that particular day. 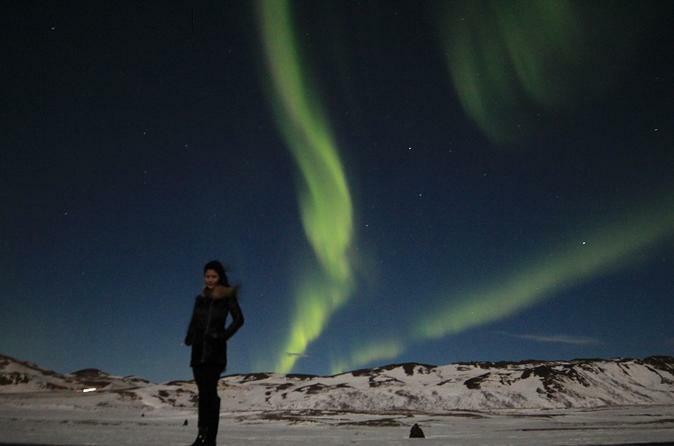 The tour is operated by a professional photographer with great experience photographing the Northern Lights. The trip takes you out to the countryside or up to the mountains, away from electric glow and city sounds. Finding the Northern Lights picture perfect spot and setting up the camera takes time and requires local knowledge! Patience is the key element and we make sure you get all the time you need for capturing a memory that you will never forget. 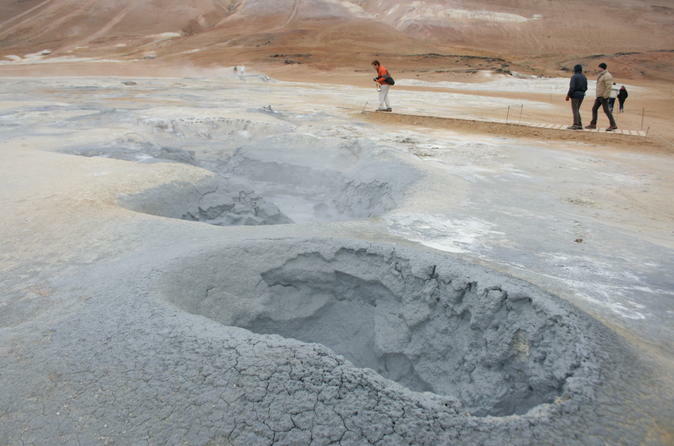 Experience the barren interior of Iceland and the lunar-like landscape where NASA trained the Apollo Astronauts. 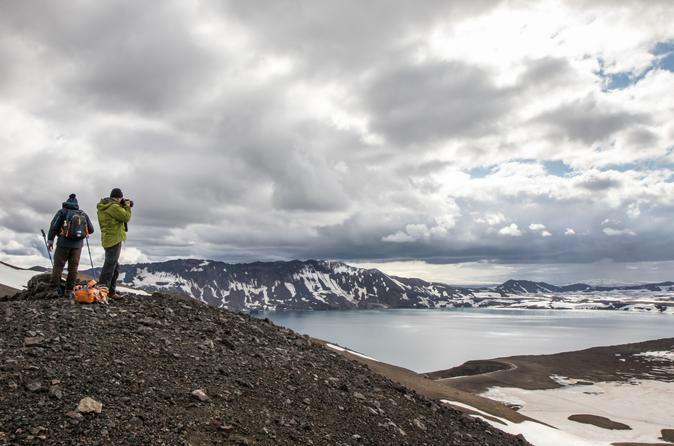 On this Askja Caldera tour you can also catch a glimpse of iconic natural wonders such as Herðubreið Mountain, Herðubreiðarlindir Oasis and Jökulsá á Fjöllum Glacial River. You might also be able to spot trolls, ghosts and other creatures that are said to live in the area and have haunted travelers for centuries. 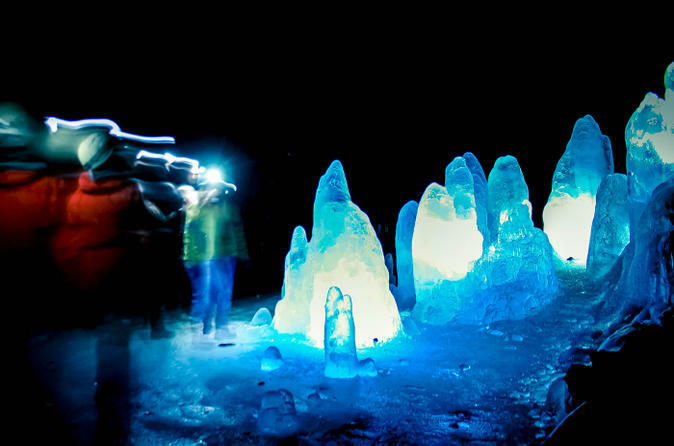 Explore Iceland’s volcanic landscapes and a subterranean ice cave on a guided, small-group day tour from Akureyri. Set off to Lake Mývatn, then examine the geological wonders of Gjástykki, an active volcanic area whose otherworldly terrain has been dramatically shaped by lava. Drive by the 2500-year-old Hverfell crater, traverse a lava field and descend into the darkness of a lava cave. Learn about the powerful natural forces that have created this unique landscape from an expert local guide. Numbers limited to 14 people, ensuring a personalized experience.